A bit of a lazy post from me today because rather than write out the whole recipe we used, I’m just going to link you to where it came from – here. 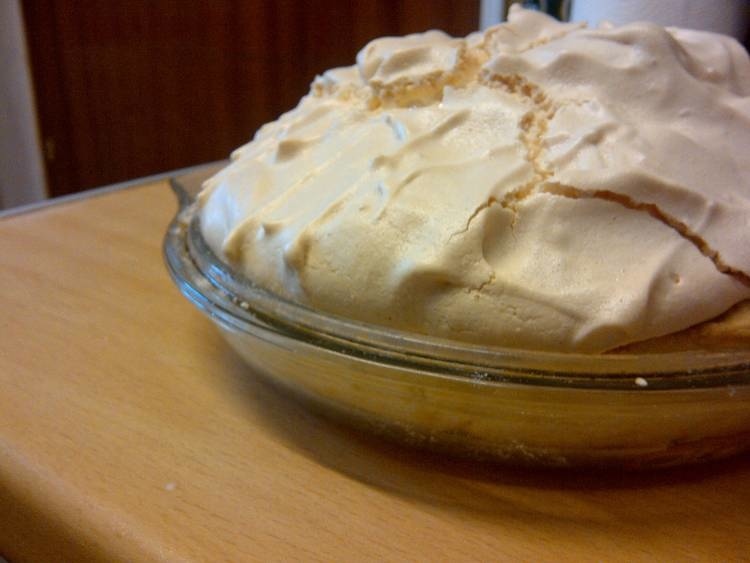 It’s a Delia Smith recipe. For those outside the UK who might not know who Delia Smith is, she’s kind of like Martha Stewart…but you know, without that whole insider trading thing. The reason I have called mine ‘Almost’ traditional is because we used ready made frozen pastry in ours, so I didn’t think it quite qualified as completely traditional, but the rest was made from scratch. Delia’s recipe includes making the pastry from scratch too. Do you like to make traditional sweet pies? 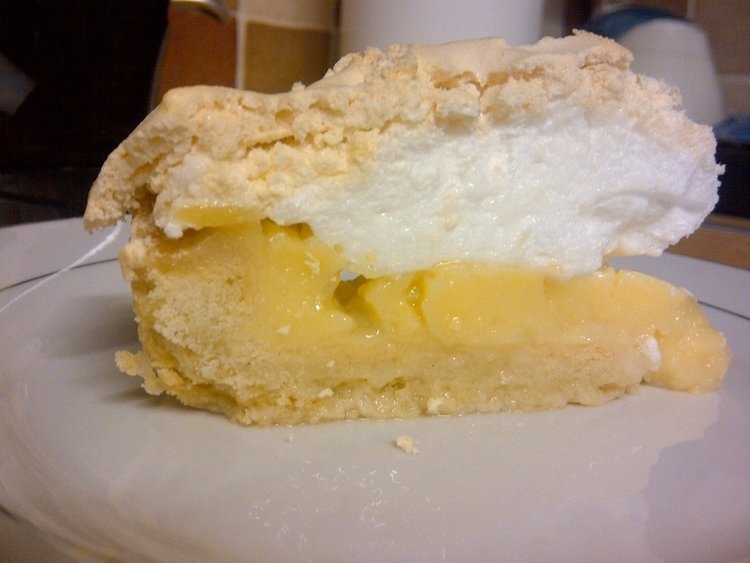 This meringue came out just how I like it, lovely and crispy on top and squishy underneath. It was frozen raw shortcrust pastry made by Jus-Rol that I used here, it seemed fine, just defrost it and roll it out, and it cooked up nicely. I don’t really know a lot about pastry really – I just happened to have this in the freezer because we’d bought it thinking my daughter needed it for a cookery lesson at school and then it turned out the school were providing the pastry, so I just used it for this to use it up! I don’t often make pies, they’re definitely not as big a thing here as in the US, if you talk about pies here, people tend to think of meat pies rather than sweet pies. Marie Callender’s should open some branches in the UK, we don’t really have anything like that here, I’m sure it would be popular, in places like London at least. If her restaurant food is anything like her frozen meals, you’re probably better off healthwise if she doesn’t! I couldn’t believe the fat and sodium levels when I read one of her packages. Wow.